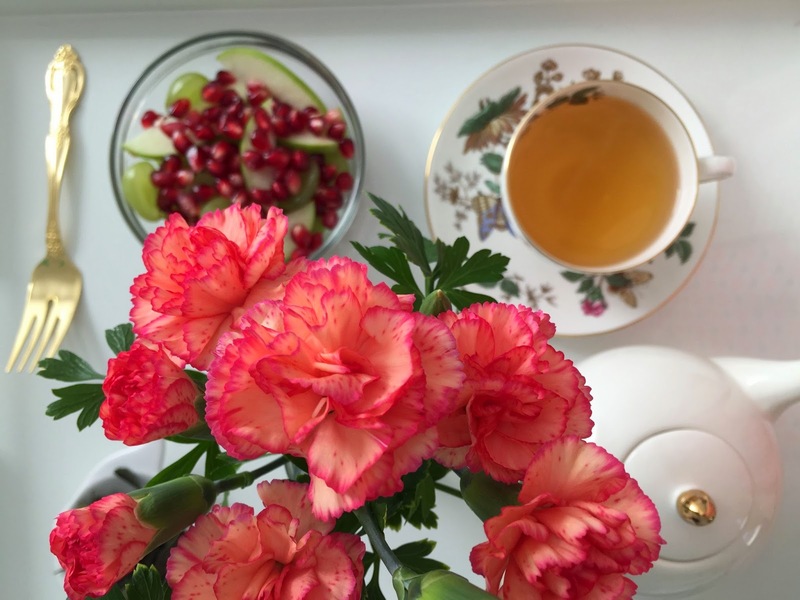 When I think of white peony tea, I assume it has peonies in it. Doesn't it sound like it should? But it doesn't. This is a classification of white tea. White peony (called Bai Mu Dan) is composed of young shoots and leaves. Silver Needle (Bai Hao Yinzhen) only has young leaves so it is milder (and more expensive) than White Peony. But, that is not to say White Peony is no good. According to Wikipedia, some people enjoy it more than Silver Needle because it has a stronger flavor. I prefer Silver Needle because of its mild flavor. To each their own. 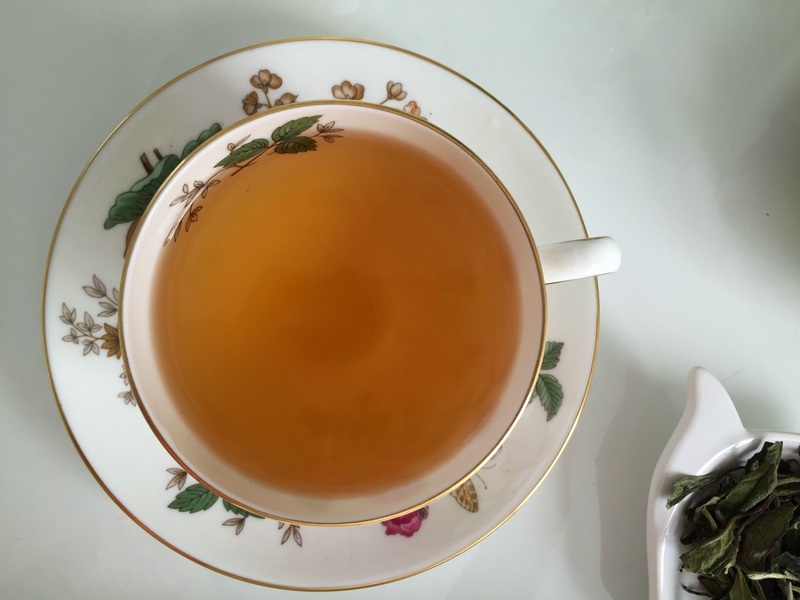 "Famous white tea from Fujian province. Only the silvery tip of tea leaves are used." For $7.50 / 50 g, I thought this was a steal (as are most of Lupicia's teas). I think Lupicia has good quality tea for really low prices, relative to other tea companies. The package for this tea is fairly large, protecting the leaves and stems from being crushed. It has a very vegetal scent (like edamame husks or hay). It is more pungent than floral. 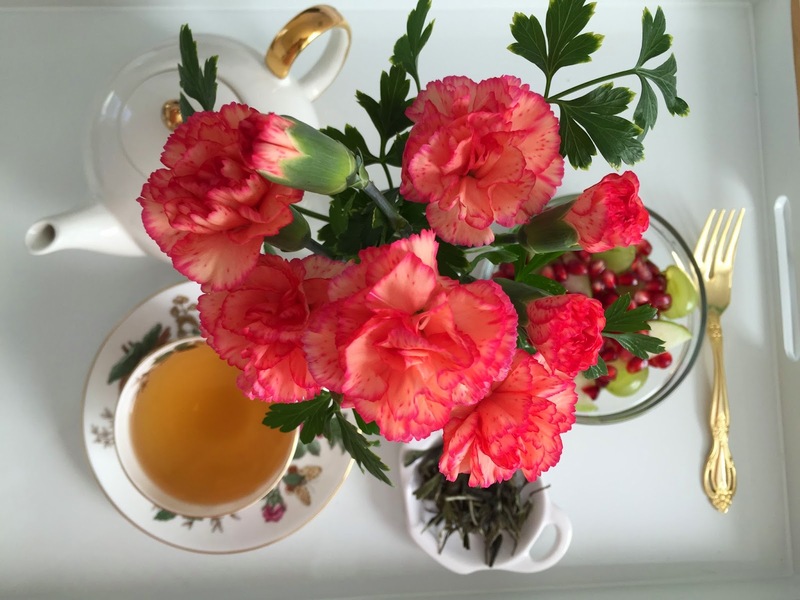 The tea tastes ok. For white peony, it is actually kind of mild, almost sweet. I think the Bellocq white peony tastes better but it is almost twice as expensive. So, for $7.50 I am happy with my purchase. 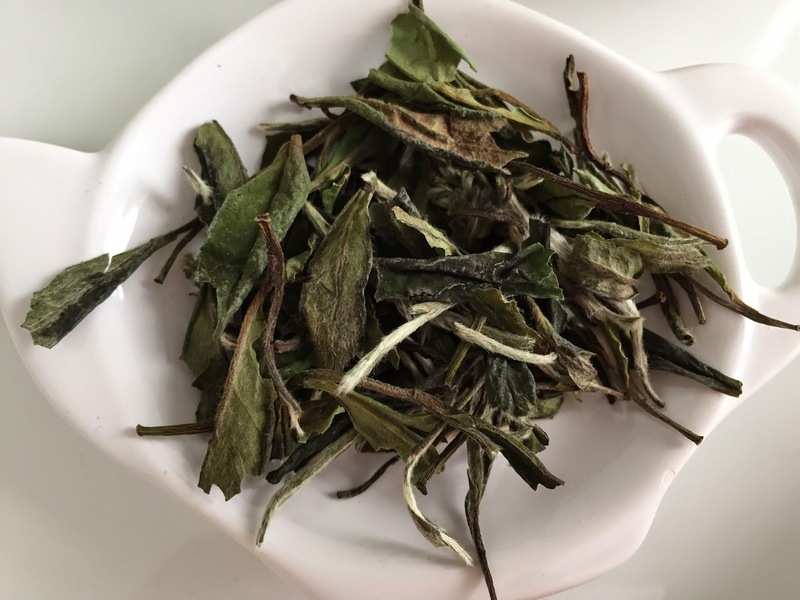 I would repurchase if I really liked Bai Mu Dan but I prefer Jasmine Silver Needle. And none of my guests have declared this their favorite so until someone does, I will not repurchase. I paired this with fruit but it tastes fine on its own. I have sweet Granny Smith apples, pomegranate, and sweet green grapes. 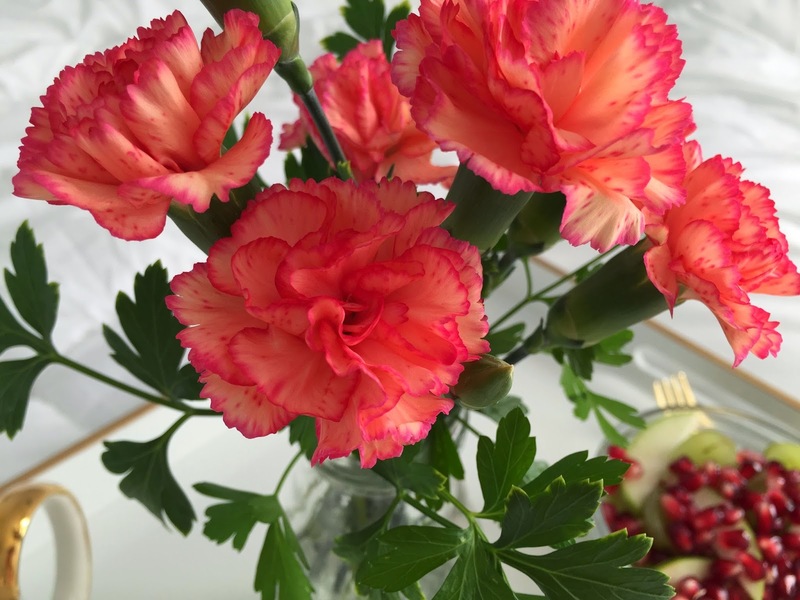 Aren't the carnations pretty? The teacup is in the Charnwood pattern by Wedgwood. I thought Charnwood was fitting since it has peonies. So pretty. Copyright © 2014 Mint and Perilla. All Rights Reserved. Simple theme. Powered by Blogger.